Afternoon Tea Sheraton Grand Park Lane Hotel, London. 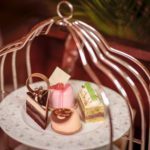 Enjoy a 5 Star luxurious afternoon tea in decadent style at the Art Deco, Sheraton Grand Park Lane Hotel, in London’s prestigious Mayfair. 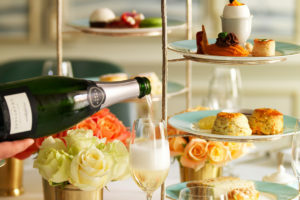 Bestowed with the Tea Guild’s Award of Excellence 2013, Palm Court Lounge offers a flamboyant take on the great British tradition of afternoon tea. 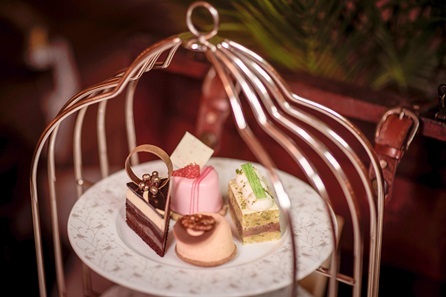 The Sheraton Grand Park Lane Hotel’s glamorous afternoon tea is served on an eye-catching, 3 tiered cake stand. 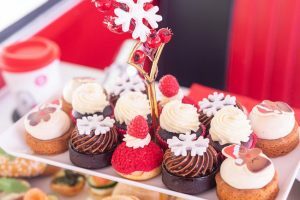 Delicate, finger sandwiches are accompanied with a mouthwatering selection of pastries and cakes, not forgetting traditional, freshly baked scones served with sweet preserves. Your afternoon tea is served with a superb selection of fine teas. 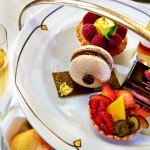 The Sheraton Grand Park Lane’s afternoon tea menu boasts no less than 27 delicious blends to sample. 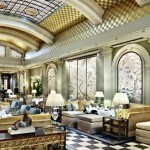 A great girly afternoon out, the Sheraton Grand Park Lane Hotel is undoubtedly one of Mayfair’s premium meeting spots. 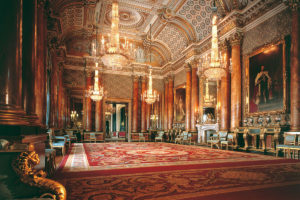 Situated opposite Green Park and a short stroll from Buckingham Palace, there are few better places to stop off for a special bite while you’re in London. 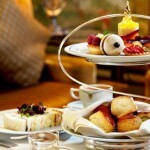 We have a great offer with Virgin Experience for afternoon tea at the Sheraton Grand Park Lane Hotel. Treat yourself and a friend to a Signature Afternoon Tea at £74 for TWO.